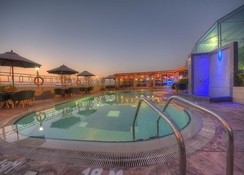 The Fortune Grand Hotel is a prominent hotel in Dubai offering contemporary accommodation to its guests. As it is centrally situated in Dubai, it is only a few minutes away from Dubai’s business district, night life, restaurants and shopping centres. Major landmarks like World Trade Centre, Mamzar Beach, Deira Creek and Sheikh Zayed Road can be easily accessed from the hotel. 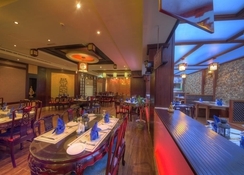 The restaurants and bars in the hotel offer international, Indian and Arabic Cuisine and what’s more exciting in this hotel is that you can dine and drink on the dance floor with live DJ at the B-52 Restaurant. 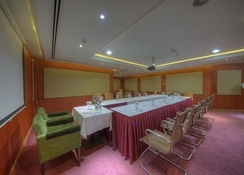 The hotel offers a host of accommodation facilities that matches the requirements of different travellers. 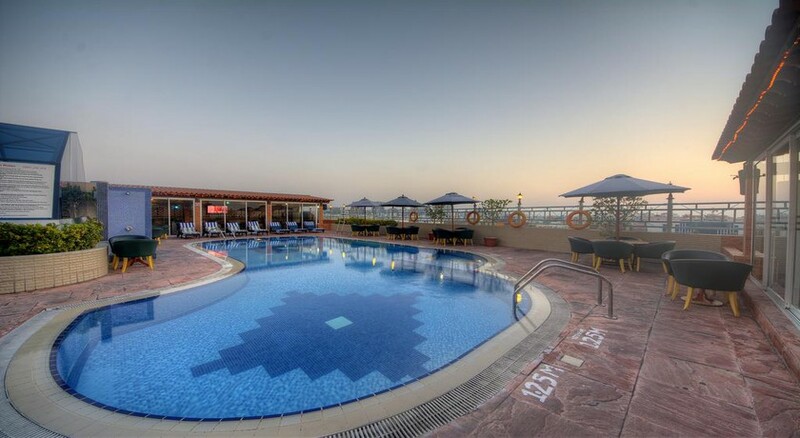 Situated centrally in Dubai, the Fortune Grand Hotel is just 18 minutes’ walk away from the beach. 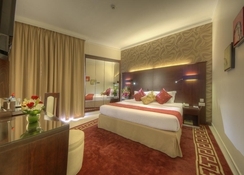 The Deira City Centre is just 4km from the hotel. Shopaholics will not be disappointed either, as the Dubai Mall is about 14km from the hotel. The Dubai International Airport is 6.3km from the hotel, making it convenient for the guests to board their flights on time. All the rooms in the hotel are decorated in neutral colours and have contemporary furnishings to make your stay even more memorable. 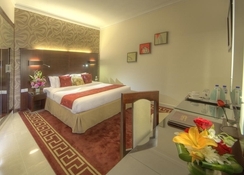 The rooms are categorised as Standard Twin Rooms, Standard Double with a king bed and Suites. All the rooms have all the necessary amenities, including Wi-Fi, safety locker, executive desk, hairdryer, wake-up service, tea/coffee maker, premium toiletries, air-conditioning, flat screen TV and much more. The Fortune Grand Hotel offers the best of Arabic, International and Indian cuisine in its restaurants and clubs. 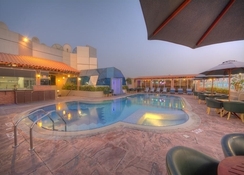 There are ten restaurants and bars in the hotel that include the Hunters Pub, African Beats, Maxims, Padheyam, Gulistan, Gulzar, Ragini, B-52, Cyclone and kingfisher sports bar. The hotel has employed professional and friendly staff members, who will give you suggestions and recommendations to choose the best combination of foods and drinks. The hotel offers several sports and entertainment facilities that will keep the guests engaged and excited throughout the day. There is an outdoor swimming pool, where the guests can swim under the supervision of staff members. You can maintain your fitness level and stay in shape by hitting the well-equipped fitness centre. For relaxing massages and beauty treatments head to the spa, where expert masseurs will give you gentle massages.